The graduate aptitude test is going to be held from the 31.01.2015 on words.So, many of the students are going to be writing this exams, because there mainly two advantages for this year GATE-2015. One is many government jobs recruitment is held on the basis of GATE-2015 and lot of notifications are released already. Second thing is the GATE-2015 score validate is increased compared to the previous GATE examinations. 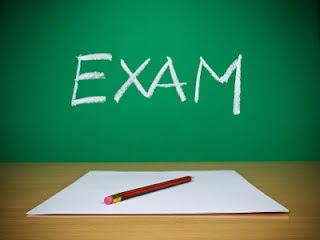 If you get a good score in the above, then your life will be get changed. If you go for higher education, you can do it in IIT'S,NIT'S. Lot of jobs are also waiting for the students who are going to be qualified in this exam. The GATE score is also useful to do master degree in your specializations with good stuyfund from the government in the local universities or its affiliated colleges also.So, Today jntu3u team giving a push up step for you to get good score in GATE-2015. Here are the collections of GATE Previous question papers held from 2007 to 2015. Download them and get good score. ALL THE BEST.